The Contract Table Indoor round by Vitra is a round table for indoor use with a table top in white melamine and a frame in chrome. The Contract table series by Vitra was designed together with the aluminium group chairs by Charles & Ray Eames in the 1950s. The special features of the series is the universally applicable and tilt-safe base, which allows to carry table tops in different shapes and sizes. 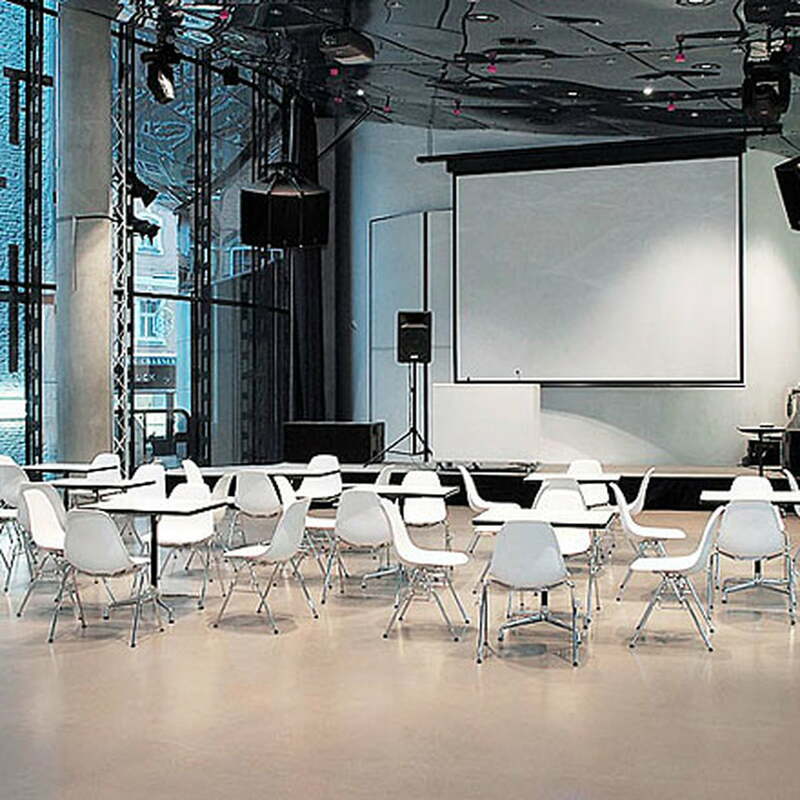 It formally resembles the foot crosses of the aluminium group chairs. 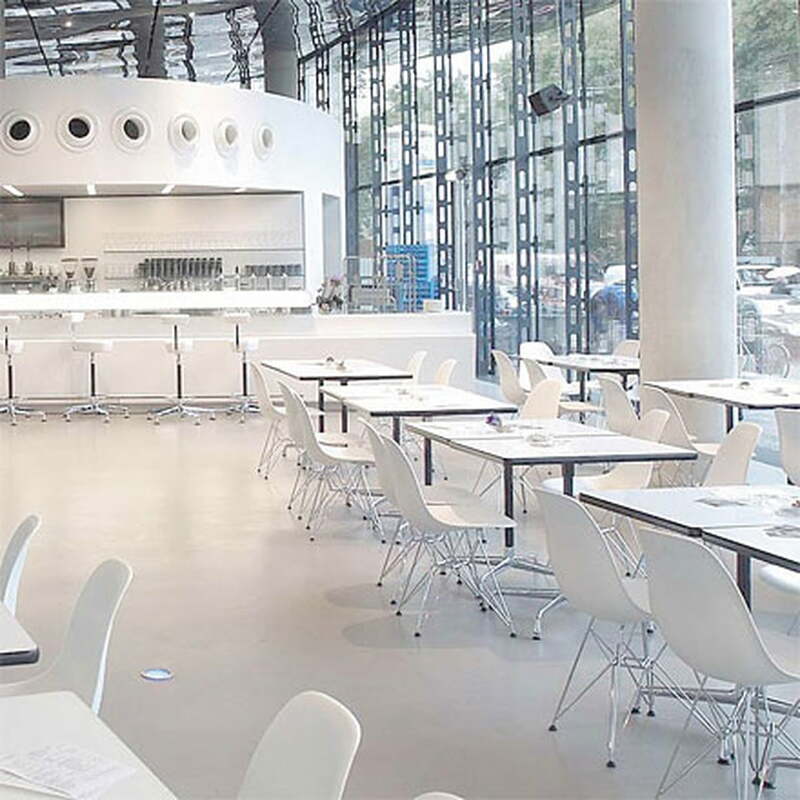 The Contract Tables by Vitra are available in versions with different large, square or round tabletops in versions for indoor and outdoor use. The Contract table with solid core top and powder-coated frame is suitable for use outdoors. 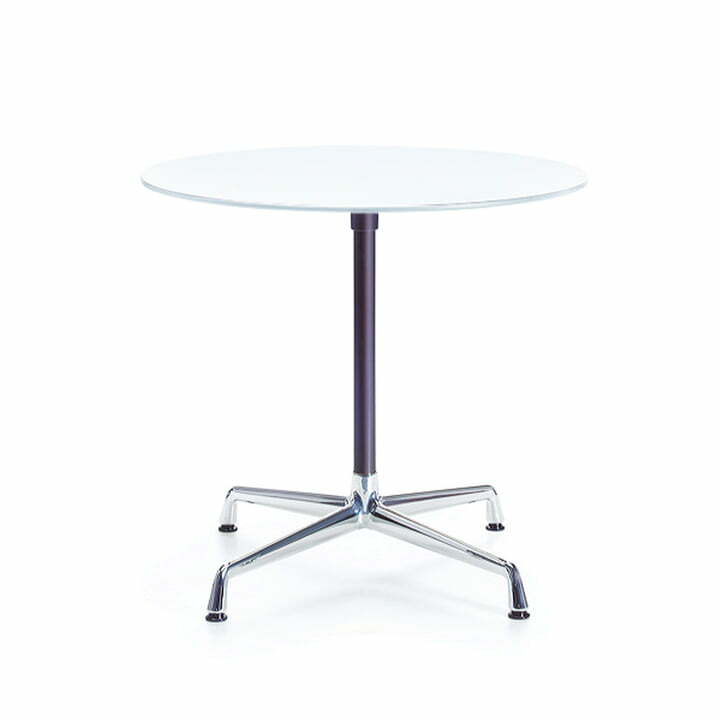 The Contract Table Indoor round by the German manufacturer Vitra is a round table for indoor use with a table top in white melamine and a frame in chrome. 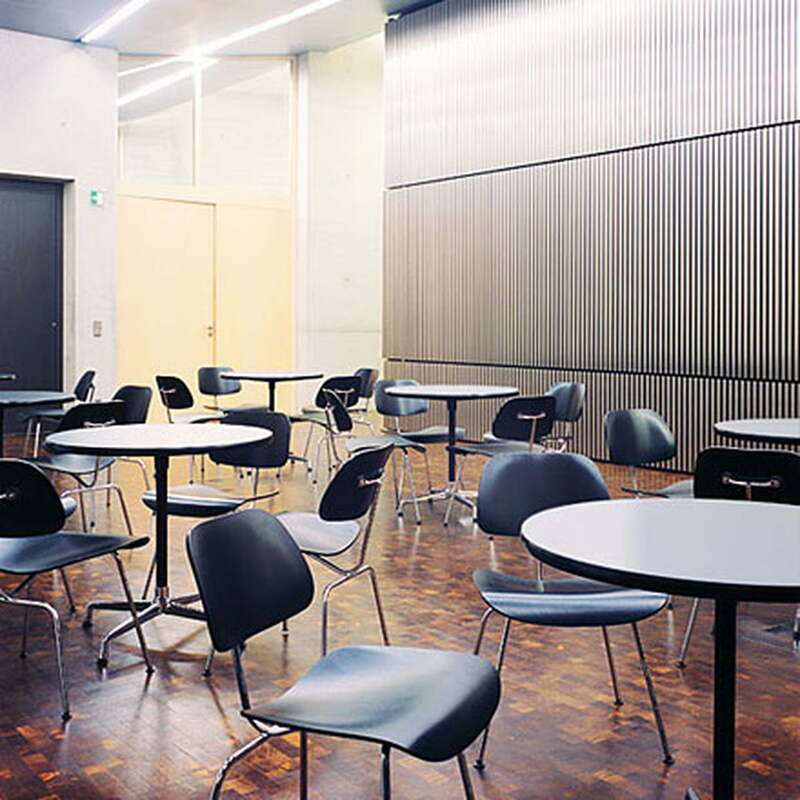 The Contract table series by the manufacturer and label Vitra was designed together with the aluminium group chairs by Charles & Ray Eames in the 1950s. The special features of the series is the universally applicable and tilt-safe base, which allows to carry table tops in different shapes and sizes. It formally resembles the foot crosses of the aluminium group chairs.